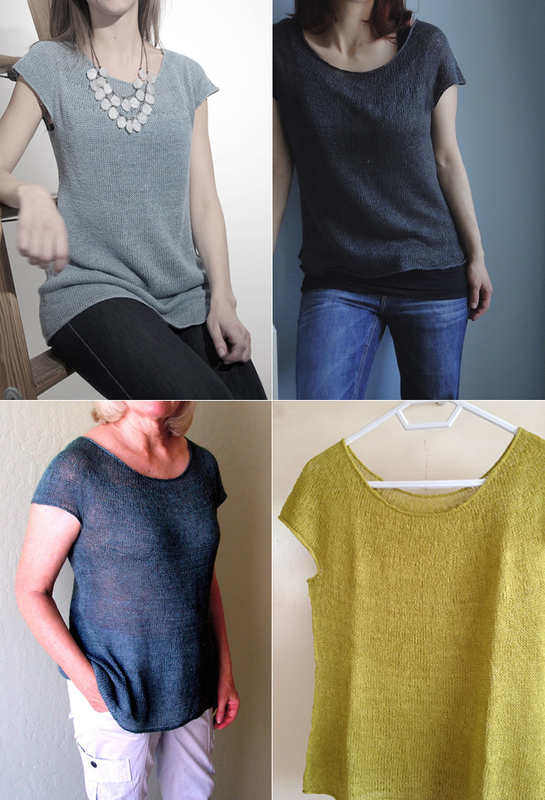 The Silken Straw Summer Sweater by Purl Soho is a light summer slip of a sweater that is just as at home over a tank or camisole in the city as it is over a bathing suit at the beach. Beautiful in it’s simplicity, this garment strikes just the right balance between pulled-together elegance and casual comfort. A perfect addition to any summer wardrobe! We love the four versions pictured here – the one on the top left is knit with Louet Euroflax Sport while the other three are worked up in Shibui Linen – both 100% linen yarns. Linen fabric is cool to the touch and knits up into light, airy garments that become softer with every wear.